What is fireproofing of steel construction? When the steel heated sufficiently the steel beams will lose the strength, it will soften and sag, causing collapse of the structure, even though the beams themselves do not burn. 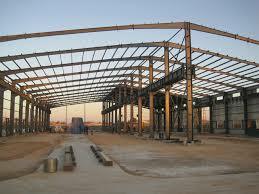 Using steel construction can significantly reduce the flammability of your structure. However, it doesn't make the building fireproof. Steel can be weakened and catastrophically fail if the temperature gets high enough. Thus see the steel building is not 100% safety. Constructing a fire-rated building is best once incombustible materials planned into the steel structural frame once it's engineered. To satisfy International Building Codes, a structure should be ready to face up to 2 full hours of fire-strength temperatures before failure. The code specifies a spread of fireplace protection like mechanical device systems and different fireproofing materials, based on: Location、Size of the building、End-us. Common fireproofing methods for structural steel include intumescent, endothermic, and plaster coatings as well as drywall, calcium silicate cladding, and mineral wool insulating blankets. Steel beams can be rendered “fireproof” by coating them with an adequate thickness of concrete. Fire resistance can be sprayed on the steel to provide heat resistance. The substances being applied can also be used over wood, fabric, steel and other building materials. When spraying the substances, once key element is to provide the required thickness to meet building code requirements. Sprays are divided into 'Wet Spray' or 'Dry Spray' mate.